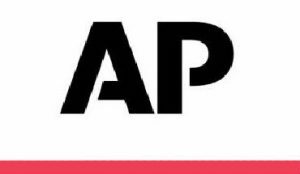 EBENSBURG, Pa. (AP) — A former Pennsylvania pediatrician is scheduled for sentencing Monday in the sexual assault of 31 children, most of them patients. Dr. Johnnie Barto of Johnstown will be sentenced on dozens of counts, including aggravated indecent assault and child endangerment. Prosecutors say he spent decades abusing children in the exam room at his pediatric practice and at local hospitals. Barto appeared before the Pennsylvania Board of Medicine nearly two decades ago on administrative charges that he molested two young girls. But regulators threw out the case and allowed him to keep practicing medicine. Prosecutors say the 71-year-old doctor went on to molest at least a dozen more young patients before his arrest in January 2018. Barto has pleaded guilty to some counts and no contest to others. He’s been jailed pending sentencing. EBENSBURG, Pa. (AP) — Attorneys are trying to reach an out-of-court settlement in a lawsuit filed by a Pennsylvania man freed from prison after 25 years after he was granted a new trial in the slaying of his estranged wife. Sixty-year-old Kevin Siehl had been serving a life term in the July 1991 death of Christine Siehl, who was found stabbed to death in the bathtub of her Johnstown apartment. Charges against him were dismissed in 2016 after a judge said prosecutors were wrong not to disclose blood evidence that may have helped his defense. Siehl filed suit against prosecutors, city police and state police forensic investigators. The (Altoona) Mirror reports that the parties indicated last week they will enter an alternative dispute resolution program, which could lead to an out-of-court settlement. BIG BEAVER, Pa. (AP) — Authorities say a wrong-way crash on the Pennsylvania Turnpike in western Pennsylvania killed two people and sent four other people to hospitals. State police say a man was driving a sport utility vehicle east in the westbound lanes of the turnpike for about eight miles before he struck a westbound SUV shortly before midnight Saturday in the borough of Big Beaver. Police say both drivers were killed. They were identified as 76-year-old William Paxton of Pittsburgh and 36-year-old Andrew Sworan of Chagrin Falls, Ohio. Paxton’s 74-year-old female passenger was flown to UPMC Presbyterian with serious injuries. A 40-year-old woman and two children — a 5-year-old girl and a 4-year-old boy — in the second SUV were taken by ambulance to St. Elizabeth Mercy Health in Youngstown, Ohio, with possible injuries. CARSON CITY, Nev. (AP) — If you’re suspected of driving while drunk, a police officer can administer a breath test to see if you’ve been drinking. But if you’re suspected of using your phone during a car crash, is there any way to find out if you’re texting while driving? There is technology that can tell if a device has been active during a particular time. Lawmakers in Nevada are considering legislation that could make it one of the first states to let police use the “textalyzer.” It connects to a phone and ferrets out signs of user activity, such as opening a message screen. So far, the technology hasn’t been field tested — and isn’t being used by any law enforcement agencies. But New York State is considering it. Opponents are concerned use of the technology violates the Fourth Amendment ban on unreasonable search and seizure. ANCHORAGE, Alaska (AP) — A leader of People for the Ethical Treatment of Animals denounced the Iditarod after a dog that participated in the race died. Tracy Reiman says the race is responsible for the death Saturday of Oshi, a 5-year-old female on the race team of Richie Beattie. “Oshi was just like any family’s dog, but the Iditarod forced her to run until she choked to death on her own vomit, just like so many dogs before her,” Reiman says in a statement. “Of those who survive, 81 percent are left with lung damage and 61 percent with gastric ulcers. PETA is calling for a full veterinary evaluation of every dog used in this year’s Iditarod, including the 232 who were pulled from the race. SALT LAKE CITY (AP) — An appeals court will consider the constitutionality of a struck-down Kansas statute that had required people to provide documents proving U.S. citizenship before they could register to vote. A three-judge panel of the 10th Circuit Court of Appeals will hear arguments today in Salt Lake City in a case with national implications for voting rights. At issue is a legal challenge to a voter registration statute requiring people to provide documentary proof of citizenship such as a birth certificate, passport or naturalization papers. Kansas is appealing a ruling last year that found its law violated the constitutional right to vote. The state faces an uphill battle to resurrect the law championed by former Kansas Secretary of State Kris Kobach, who led President Donald Trump’s now-defunct voter fraud commission. FLAGSTAFF, Ariz. (AP) — John Little can hardly go a week without a reminder that he and other Native Americans often are viewed as relics of the past: the Indian maiden on the butter container at the grocery store, the kids’ teepees sold at popular retailers and the sports fans with their faces painted doing tomahawk chops at games. But he doesn’t hear widespread outrage over these images that many Native Americans find offensive, even as the country has spent most of the year coming to grips with blackface and racist imagery following the revelation of a racist photo on the Virginia governor’s college yearbook page. Since then, new examples have surfaced regularly, most recently a TV host who painted her face brown in a parody of Oscar-nominated Mexican actress Yalitza Aparicio. NEW YORK (AP) — Fox News weekend host Jeanine Pirro’s show didn’t air a week after her comments questioning U.S. Rep. Ilhan Omar over her wearing a Muslim head covering. No explanation was given. Pirro’s show, “Justice With Judge Jeanine,” was replaced Saturday night by other programming. The Fox News schedule for the upcoming weekend doesn’t include the show. Fox said Sunday that it would not comment on internal scheduling matters. President Donald Trump tweeted Sunday morning about Pirro’s absence, saying she should be brought back. “Stop working soooo hard on being politically correct, which will only bring you down, and continue to fight for our Country. The losers all want what you have, don’t give it to them,” one of his tweets said. BEND, Ore. (AP) — There are challenges that come with running the last Blockbuster Video on the planet. LOS ANGELES (AP) — “Captain Marvel” continues to dominate the box office landscape. The Disney movie starring Brie Larson took in another $69.3 million over the weekend in North America — and $119.7 million internationally. And those numbers were more than enough to beat back the weak challenge by movies making their debut over the weekend. Finishing a distant second is “Wonder Park” — with $16 million. The movie reportedly cost $100 million to make. On the flip side, the movie that finished third, “Five Feet Apart,” took in $13.2 million in ticket sales. That nearly doubles its production budget. LEWISBURG, Pa. (AP) — Kaitlyn Slagus scored 23 points to lead Bucknell to its school record 28th win, the Patriot League tournament championship and its fourth NCAA Tournament berth with a 66-54 win over American on Sunday. Kyi English added 14 points and six assists and Ellie Mack had 11 points for the Bison (28-5), who are headed to the NCAAs for the second time in three seasons. Bucknell’s senior class, which includes Slagus and English, set a school and conference record with 102 wins. Slagus had seven rebounds and four blocks and was named tournament MVP. Bucknell closed the game on a 10-2 run after Kaitlyn Marenyi’s 3-pointer pulled the Eagles (22-10) within 56-52 with three minutes to play. The Bison made 8 of 10 free throws while American was 1 of 7 from the field. The clinching point came with two Slagus free throws with 54.2 seconds left. A basket by Elina Kosimies pulled American within seven with 1:20 to play and Indeya Sanders got a steal but she missed a layup. Slagus was fouled on the rebound and pushed the lead to 63-54. Patriot League player of the year Cecily Carl led American with 16 points and Marenyi had 11. The Bison swept the regular-season series, opening league play in January with a 71-56 win and then edging the Eagles 65-64 in March. American won 15 straight conference games with both teams finishing 16-2. Bucknell lost a late-season game to Holy Cross on a buzzer-beater but came back to set Patriot tourney records for fewest points allowed and margin of victory with a 66-31 win over the Crusaders in the semifinals. The Eagles closed within 32-30 early in the third quarter before Abby Kapp and Ellie Mack had 3-pointers in a 9-0 run. American got the deficit down to six entering the fourth quarter and three straight possessions with 3-pointers cut a nine-point lead down to four. PITTSBURGH (AP) — Sean Couturier beat Matt Murray with 3 seconds remaining in overtime and the Philadelphia Flyers put together an improbable rally to edge the Pittsburgh Penguins 2-1. James van Riemsdyk tied the score with 18 seconds left in regulation when Murray’s glove couldn’t quite reach van Riemsdyk’s wrist shot from the slot. The team traded a flurry of quality chances in the extra period before Couturier danced around Pittsburgh star Sidney Crosby on the rush then sent a shot over Murray’s stick. MILWAUKEE (AP) — Giannis Antetokounmpo scored a career-high 52 points, but Joel Embiid had 40 points and 15 rebounds to lead the Philadelphia 76ers over the Milwaukee Bucks 130-125. Antetokounmpo was 15 of 26 from the field and made 19 of 21 free throws to better his previous career best by eight points. Embiid and the Sixers weathered a late charge by Milwaukee to beat the team with the best overall record in the NBA. CLEARWATER, Fla. (AP) — Phillies newcomer Bryce Harper was back in the lineup two days after he was hit by a pitch in the ankle. Harper went hitless in three at-bats against the split-squad New York Yankees. The All-Star slugger is 0 for 8 in five spring training games. The Phillies play on 1070AM WKOK while our normal programming continues at WKOK.com. Pittsburgh at Tampa Bay 1:05 p.m.
San Diego at Cleveland 4:05 p.m.
San Francisco at Chi White Sox 4:05 p.m.
N-Y Yankees at Atlanta 6:05 p.m.
L-A Dodgers at Texas 10:05 p.m.
Boston at Minnesota 1:05 p.m.
Baltimore at Detroit 1:05 p.m.
Detroit at Toronto 1:07 p.m.
Miami at Washington 1:05 p.m.
Philadelphia at St. Louis 1:05 p.m.
Washington at N-Y Mets 1:10 p.m.
Cincinnati at Colorado 4:10 p.m.
Utah at Washington 7:00 p.m.
Detroit at Cleveland 7:00 p.m.
N-Y Knicks at Toronto 7:30 p.m.
Denver at Boston 7:30 p.m.
Miami at Oklahoma City 8:00 p.m.
Golden State at San Antonio 8:00 p.m.
New Orleans at Dallas 8:30 p.m.
Chicago at Phoenix 10:00 p.m.
Indiana at Portland 10:30 p.m.
Arizona at Tampa Bay 7:30 p.m.
Vancouver at Chicago 8:30 p.m.
Vegas at San Jose 10:30 p.m.
Winnipeg at L.A. Kings 10:30 p.m..